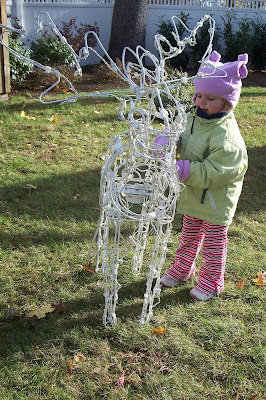 You have seen in past posts that Zoe is becoming quite the little helper. Getting ready for Christmas has not been an exception. Zoe has tried to help out with every little step. She truly enjoyed unpacking indoor decoration boxes. 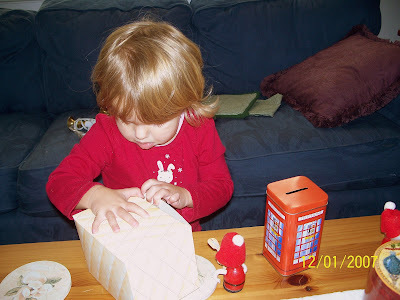 Every little box was exciting. 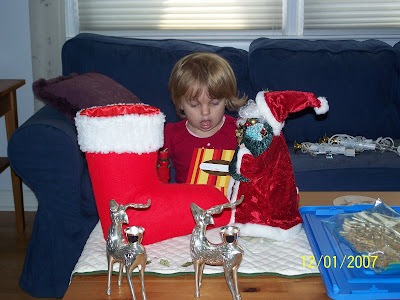 The girl loves her Christmas knick-knacks just as much as her Mommy does! 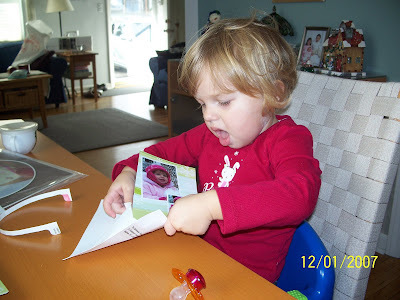 I attempted to start getting our Christmas cards ready for mailing while Zoe was busy. I think she sensed something "interesting" was being done and I needed some help in a terrible way. 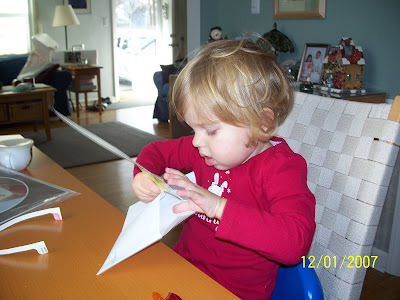 If you are on our Christmas card list... and your envelope seems to have been "moistened" a little more than necessary when it was sealed... just know that Zoe added a little extra effort to your card. "Mommy, help me! This thing is very heavy!" We've still got more decorating to do around here. Unfortunately Nick is away in Calgary all week (where it is FREEZING)... so we've taken a decorating break. 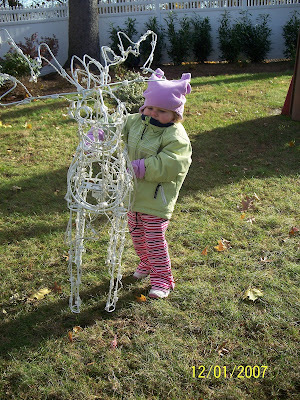 Zoe can not wait to show you how talented she is with tree decorating!